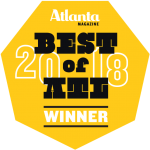 Proud to be included in this illustrious list of “Best of Atlanta” for 2018. Check out the full article, or read Stellar Strength’s listing below. As the owner of Stellar Strength and Wellness in Atlanta, Estelle Harford is the only Master Trainer in Ki Hara stretching in Georgia. Stretching and pushing as you push up, she uses concentric and eccentric movements to dynamically stretch, strengthen, and lengthen your muscles. Benefits include increased flexibility, better range of motion, better posture, and fewer injuries. Today we’d like to introduce you to Estelle Harford. Estelle, let’s start with your story. We’d love to hear how you got started and how the journey has been so far. I started my Wellness career as a personal trainer in Chicago 15 years ago. It was there that I discovered that an integral part of wellness and healing was missing from a lot of the traditional protocol I was seeing. I decided to seek out other methods and techniques that could help my clients on another level. I enrolled in Chicago’s Kendall College Culinary program and started personal cheffing for my clients to help them with navigating the sometimes confusing preparation of healthy but still delicious food. I completed the intense training to become one of few, global Ki-Hara Master Trainers; a method that focuses on eccentrics, flexibility, increasing strength and range of motion. I also can work to solve sometimes painful muscular compensations. I am currently the only Master in the entire state of Georgia. I then discovered John F. Barnes Myofascial Release. JFB MFR is a hands on soft-tissue mobilization technique developed by John F. Barnes and works to release dense or restricted fascia. Fascia is a 3-dimensionaI web we all have in our bodies. It encompasses everything and interpenetrates everything. When restricted or adhesed, it has the ability to create up to 2,000 lb. of pressure per square inch. I recently returned from working with him in his clinic in Sedona; which was such an honor and amazing experiance. I truly believe the ability to combine my many years of knowledge allows me to help people in so many different ways. I’m very grateful for the ability to do so. I have a vast range of clients and am always evolving and learning. Life is rarely a smooth road. Those that seek challenges outside of the box are met with struggles. However, I would not change my journey for anything. I have met some of the most incredible people. You really have to stay true to yourself; it might not be easy, but it will be worth it. Alright – so let’s talk business. Tell us about Stellar Strength and Wellness – what should we know? I am the Owner of Stellar Strength and Wellness, a business that I founded in Chicago over 10 years ago, and relocated to the beautiful southern city of Atlanta a little over a year ago. I am a Movement Therapist. I help my clients alleviate pain, increase true flexibility, increase the range of motion, eliminate muscular compensations, increase strength and tone, I can also release sometimes very painful myofascial restrictions. I have well over a decade of experience and have clients that range from those with specific disabilities to professional athletes and Olympians. I base my work on the person in front of me. I treat everyone as an individual and customize each session for you. I encourage everyone to try this type of work. 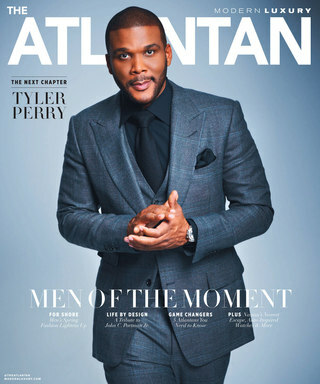 It’s rather unchartered territory in Atlanta and most people aren’t even aware it exists, let alone understand how it can help. I’m here to help you live your best, pain-free, active life. I believe every step I’ve taken has been a great part of my journey. Every client I’ve worked with, and every person I’ve learned from; they have all helped shape me into the business owner and therapist I am today. Estelle Harford named to prestigious list of Atlanta-based women-owned businesses. Read full story. 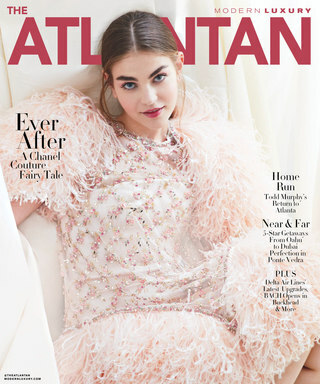 Estelle and Stellar Strength were named to the 2018 IT List by Atlantan Magazine. Read full story.